The BJP is a cadre-based political party. BJP has been organizing countrywide ‘Maha Prakshishan Abhiyan’ to strengthen the organisation. The objective of the Prakshihsan Abhiyan is to deepen the ideological understanding of Karyakartas and apprise mode of functioning of the Party. As part of the Abhiyan BJP has planned to train cooperative workers of the party. 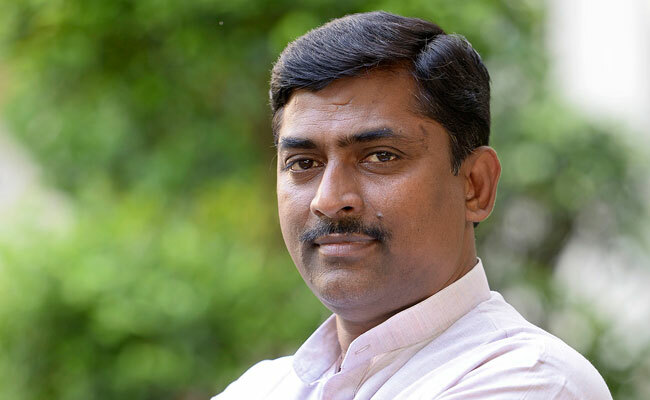 BJP National General Secretary and Member of Training Committee Shri Murlidhar Rao talked on the issue with Kamal Sandesh`s Associate Editor Shri Sanjeev Sinha. Shri Rao, known for his organization skill and a trenchant ideological knowledge, says that cooperation is viewed as an organizational for the promotion and benefit of mutually accepted notion or engagement by its members voluntarily. Here, excerpt of the interview is being published for our esteemed readers. First of all enlighten about Cooperative movement? The cooperation is viewed as an organization for the promotion and benefit of mutually accepted notion or engagement by its members voluntarily. This can be happen where resources are adequate for both parties exist or can be created by their interaction. It also permeate the social aspect of life and aims at establishing a new democratic social order based on freedom and equality, where people live in harmony, caring and sharing like a family, where there is a unity of spirit and common economic bond. Cooperatives have a role to play in alleviating different shocks, and paving the way towards recovery that is socially and economically sound and sustainable. How BJP empowering the cooperative movement? In the interest of national economy and people’s movement in alleviating the poverty among the poor, BJP is nurturing it’s cadre in facilitating the cooperatives for the creation of livelihoods for its members and protection of employment. BJP Cooperative Cell has taken its own initiatives to empower the movement by providing the services in support of credit, legal advocacy, formation of groups and notion in a new direction. Is there any plan with BJP for encouraging cooperative movement leaders? If so, is there any training module there? The BJP Prashikshan Abhiyan covers various aspects related to political leadership and social service including the Cooperative sector. A special focus is also put for training karyakartas and leaders working related to the Cooperative sector. BJP is planning to prepare a training programme covering various aspects of Cooperative area, focussed on guidelines in running such cooperative organisations, its impact on society, best practises, skills related to the sector etc. Chairpersons of cooperative societies, experts of the field etc will be involved in developing the training framework and leaders of BJP’s cooperative departments and organisations, and leaders of various cooperative bodies working under BJP and under departments of BJP ruled states will be imparted training on improving their effectiveness in the area of their work. Cooperative entities are not stronger in the states other than Maharashtra and Gujarat, so what is the planning for other states? The cooperative movement in our country has witnessed substantial growth in many diverse areas of the economy. With a network of about 6.10 lakh cooperative societies and a membership of about 249.20 million, the cooperative movement in India has emerged as one of the largest in the world. The agricultural credit advanced through cooperatives recorded a sizeable increase from a meagre Rs. 214.35 crore in 1960-61 to Rs. 86185 crore in 2011-12 with about 17% share in total institutional agricultural credit. The share of cooperatives in fertilizer distribution is 36% and in sugar production nearly 39.7%. The cooperatives also make procurement of wheat at 24.8%. The handlooms contribute 54% and 20.3% of the retail fair price shops are in the cooperative sector. The cooperative sector provides direct and self-employment to about 17.80 million people in the country and playing a significant role in improving the socio-economic conditions of the weaker sections of society through cooperatives in fisheries, labour, handloom sectors and women cooperatives. Dairy cooperatives through ‘White Revolution’ have enabled the country to achieve self-sufficiency in milk production. Housing cooperatives are contributing to the construction of housing units for economically weaker sections and low income groups at affordable rates. Through fair price shops, cooperatives are supplying essential commodities to the weaker sections of society at concessional rates. Thus the cooperatives are contributing substantially in our efforts for achieving inclusive development. However, it has got successful in two major states i.e., Maharashtra and Gujarat. Due to imbalances in credit, banking structure, livelihoods, education; the other states have backed a little but it can be strengthened by creating the awareness, literacy and demand of the cooperative movement. Cooperative entities have become inactive to large extent. What steps are being taken for improving this situation? Recognising the potential and energy of the country’s youth, the cooperative movement has to be driven in a new direction by identifying the critical and nation building issues which can be adopted by the youth and marginalized sections in both socially and economically. There is large scope for the cooperative movement in eradication of the poverty in rural areas, spreading the quality education, creation of the employment in tiny and small-scale sector by using the make-in-India scheme, Skill India, MUDRA Yojana, etc. What initiatives are being taken by Central BJP Government and State Governments for the empowerment of Cooperative Movement? As we all know that our BJP government under the able leadership of Hoon’ble Prime Minister Shri Narendra Modi taken many initiatives for the development of the country such as providing toilets in all schools in promotion of girls education, implementation of Jan Dhan scheme, MUDRA Bank for financing 6 crore small vendors and businesses on which 61% are SCs, STs, OBCs and Minorities and opened more than 14 crore bank accounts for financial inclusion in the banking sector. To ensure the LPG subsidy for the poor people, our Prime Minister implemented the DBT to reach the subsidy to targeted person directly. To strengthen the agriculture sector of the country, launched the Pradhan Mantri Krishi Sinchai Yojana, Soil Health Card scheme to enhance farm productivity which the Congress did not think of in the last sixty years, to see that by 2022, providing a comprehensive social security scheme for the poor and marginalised, old and those with low-income levels, Swachh Bharat Mission to see that health and hygiene issues of the poor, to develop the services provided by the Indian Railways, set up the Skill Development Ministry to enhance employability of the youth to whom we are committed to provide jobs through initiatives like ‘Make in India’, reservation for women in the police forces of Union Territories, generation of more than Rs 3 lakh crore by coal auction etc. As the above initiatives taken by the Hon’ble Prime Minister, I believe that cooperatives will also develop to provide better services to their members.